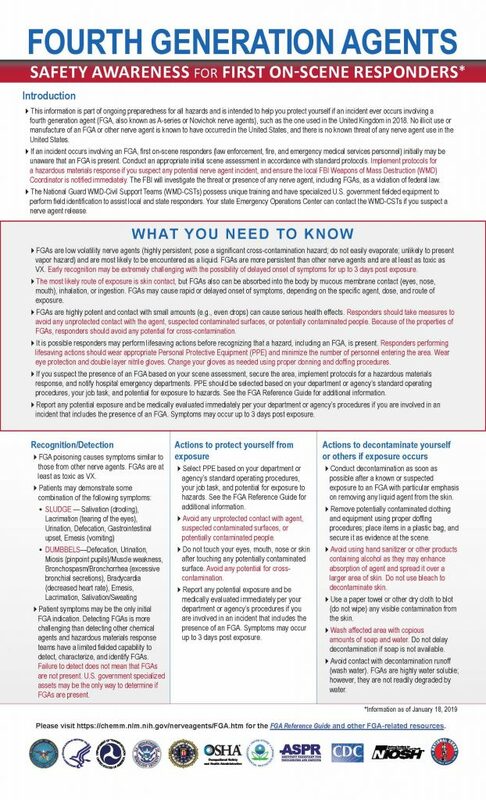 The Rappahannock EMS Council received information regarding Fourth Generation Agents (as seen in the UK in 2018) and provider safety. Click the image to open the printable PDF. Please share with your providers. More information may be found on the Chemical Hazards Emergency Medical Management (CHEMM) website from HHS.